Dogs are well-known for not only being man’s best friend, but also a faithful lifelong companion. At AOL we not only love the outdoors, but we love dogs as well! 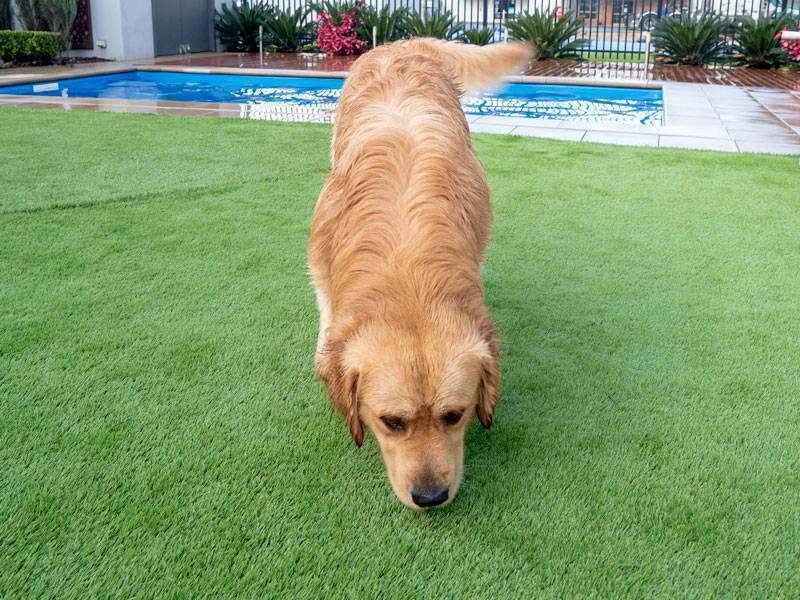 It’s great fun to watch our furry friends play on our artificial lawns, walk through our picturesque outdoor areas, and even splash about in our pools. In fact, we love dogs so much here at AOL that we decided to dedicate a series of blogs to our favourite animals! ‘Dog Stars of AOL’ will focus on introducing you to the cute puppers and doggos from our AOL TV shoots. Hamish asked us to make him look important. Hamish made himself at home instantly. As soon as he visited the office he began making friends with as many people as possible. Every time someone new walked in, he would rush over to them with a huge grin on his face and welcome them into the office. Licks and tail wags were the theme of the morning, and some lucky staff members were even able to participate in a game of ‘tug of war’ using Hamish’s teddy bear! 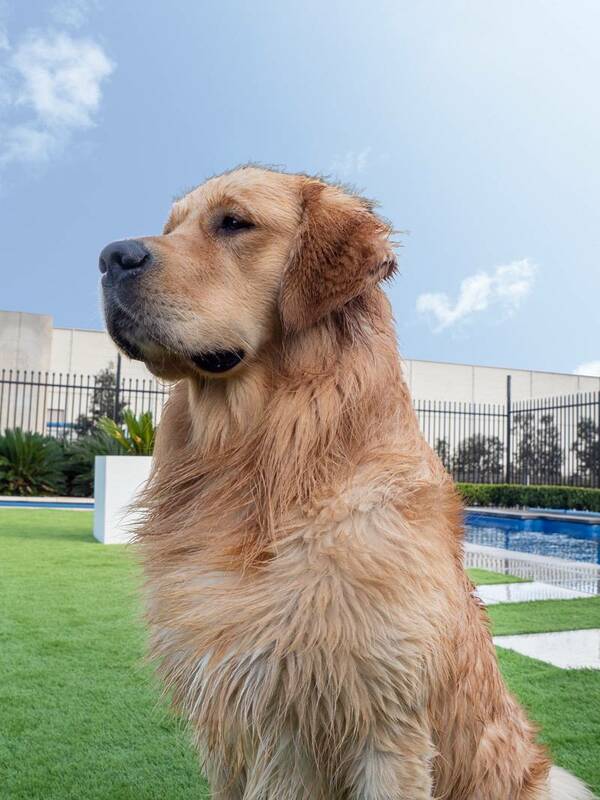 Of course, being a Golden Retriever, Hamish was more than happy to head outside and get to work on some photo opportunities. The Australian Outdoor Living display centre was transformed into a puppy playground for the morning, and Hamish made sure he explored every inch of it. 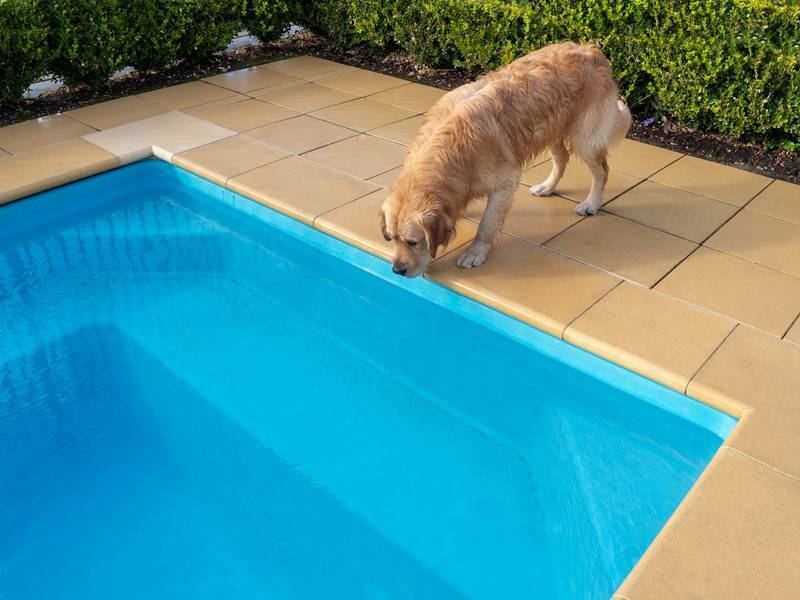 He frolicked on our artificial lawn, relaxed in the shade of our pergolas and outdoor blinds, and even decided to jump in the pool for a quick dip! After all that excitement Hamish enjoyed a quick lie down at Mary’s desk before being whisked off home. Hamish thoroughly enjoyed our swimming pools! 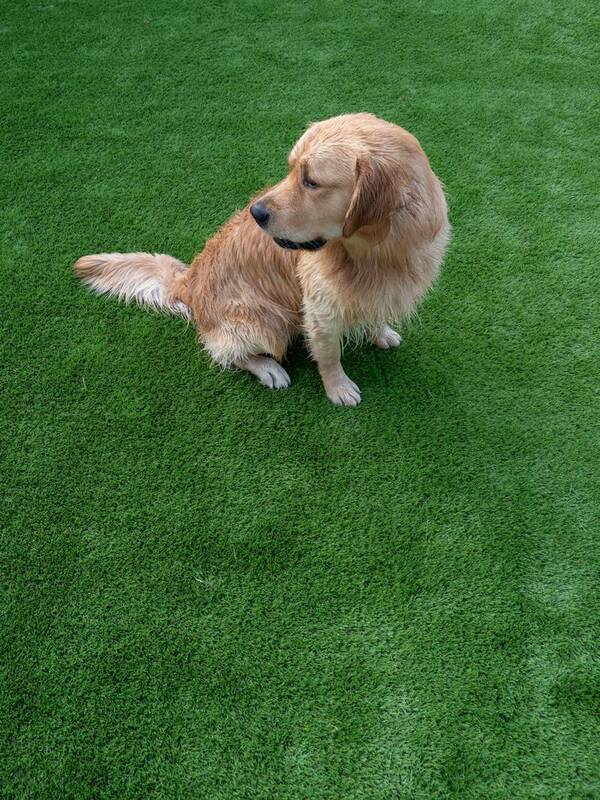 “Our big, loveable golden boy, Hamish, will be celebrating his first birthday later on this month. He never fails to brighten up our day with his big smile, endless affection, and waggly tail. He is a social butterfly and makes new doggo friends everywhere he goes! So we weren’t really that surprised when he dove right into one of our display pools! 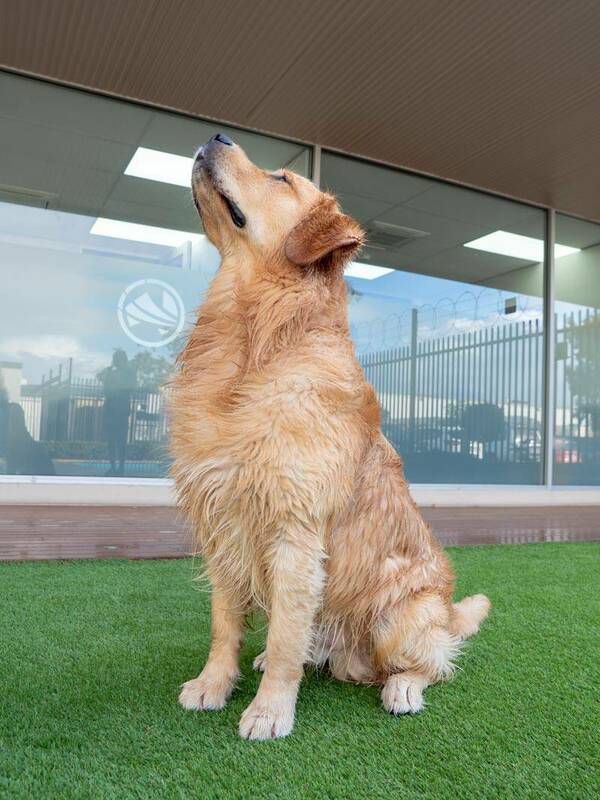 Hamish is an all-round happy guy who will steal your socks and your heart. “Hamish was one of the friendliest – and bubbliest – dogs I’ve ever seen. He gave me the feeling that as he bolted around the office he was thinking ‘What is going on? Hamish, looking even cuter still. “Hamish’s guest appearance made for a very different Friday in the Australian Outdoor Living office! He was very energetic and spent most of his time bouncing around the office and searching for pats and playmates. “Hamish is a goofy, lovable ball of fluff. 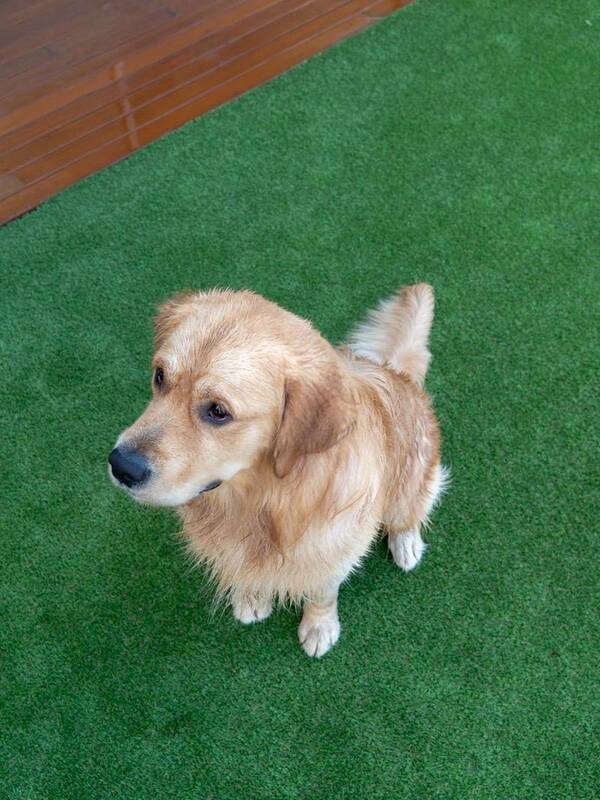 Hamish made the most of our artificial lawn after jumping in the pool. “Every dog I see quickly becomes my favourite dog, and Hamish was no exception. His beautiful personality and loveable grin really made the office brighter. Hamish spent all morning being a very good boy. Do you have a Golden Retriever or a dog that loves their teddy bear? Tell us about your furry friend! 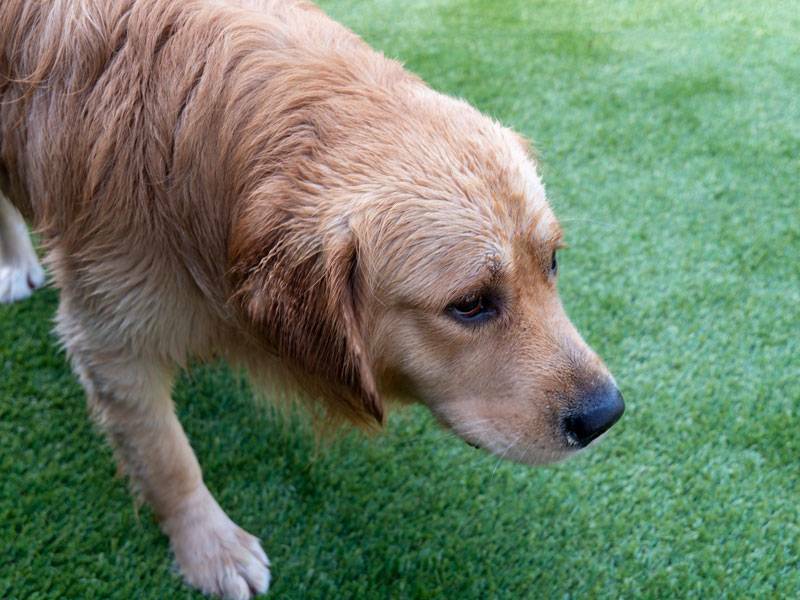 Artificial grass: which is the best lawn for you?